The Keen Targhee Vent is everything you love about Keen. 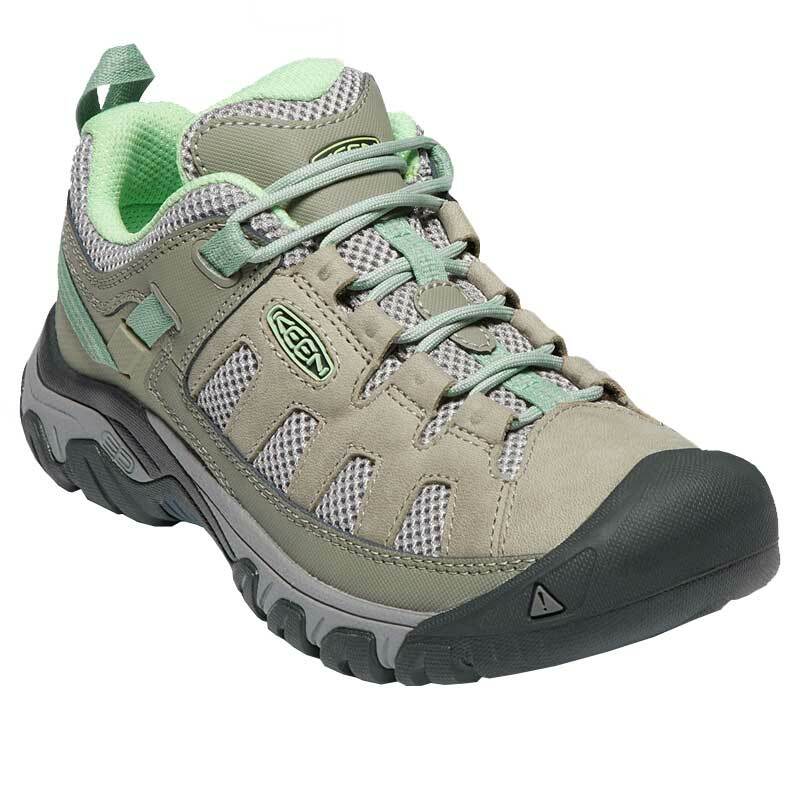 This women's hiking boot features the water-resistant oiled nubuck leather uppers with mesh panels for breathability. 4mm multi-directional lugs provide traction to keep you steady. The underfoot shank provides torsional stability, while a contoured heel lock keeps your heel from slipping. The dual density compression molded EVA midsole ensures comfort with little to no break in time. Perfect for exploring your outdoor playground, the Keen Targhee Vent boots will have you covered.